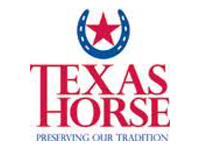 Come Join Us for a Horsemen's Day at the Capitol on Thursday, March 31 - RSVP Here by March 25! (Austin, Texas - March 20, 2011) - This is the biggest opportunity to make a difference for our legislative initiative this session. The momentum we're building is beginning to really shift attitudes about slot machines at the racetracks and Indian tribes, and we have come to a point where it is time to mobilize ourselves and show the members of the Legislature there are big numbers behind us. Texans, this is your call to action. Purpose: To show our support in numbers on the steps of the Capitol as Texans from all over the state. We will gather at 9:00 a.m. at the Stephen F. Austin Hotel and share a light breakfast, break into groups and get prepared for the day. We'll then head over to the south steps of the Capitol where we will hear from state and industry leaders on our issue. We will have horses and greyhounds meeting us on the steps! Next we'll break off into our smaller groups and head into the Capitol to meet with the members of the Legislature and their staff for the rest of the afternoon. Departure for home will be around 4:00 p.m. There will be a number of buses leaving from Grand Prairie, Houston and San Antonio for those people who would like to catch a ride to Austin. We promise to take you back home too! For those wishing to drive, we suggest parking in the state garage on 12th and San Jacinto. Please RSVP using the form below or by calling (512) 467-9799 by Friday, March 25th. We need to make sure there's an accurate list of everyone coming.